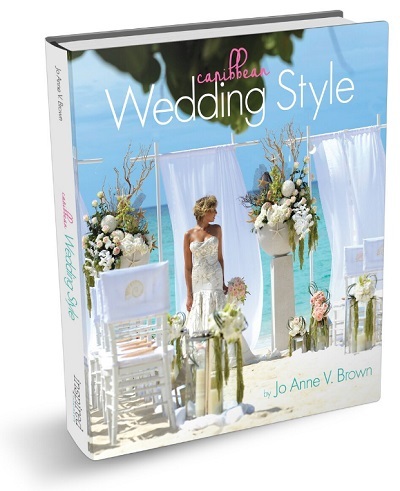 Authored by the wedding guru of the Caribbean, JoAnne Brown is the CEO of JVB Design House & Celebrations Ltd.
Brown's favorite weddings throughout the years are showcased within the pages of this stunning coffee table book with an emphasis on design inspiration and insider tips. As you peruse these pages, you will be taking a journey through traditional ceremonies & cultural rituals as well as modern weddings that are anything but ordinary - all produced in the Caribbean. As this collection shows, there are no two ways to celebrate the love and joy that a bride and groom have for one another, and this book will give you a glimpse into the incomparable world of wedding planning, design, and production through the eyes of one of the most celebrated wedding planners in the industry today. Each wedding has something different to offer, and as you turn these pages, you'll be treated to insider knowledge and advice, straight from Jo Anne, on what takes a wedding from special to exquisite. This 10" x 1" x 9" coffee table book makes the perfect gift for any newly engaged or newlywed couple. *Book can be signed by the author by special request.